Canada's main stock index posted its best day in six months despite a pullback of cannabis stocks on the last trading session before Wednesday's legalization. The upturn in markets was almost global, where the stock losers of the past few days outperformed led by the technology sector, said Patrick Bernes, a portfolio manager for CIBC Asset Management. The activity comes as U.S. corporate earnings have started to roll in with Goldman Sachs and Morgan Stanley on Tuesday outperforming some forecasts, suggesting a solid earnings season ahead. "We've seen the selloff, a little bit of a correction and you've seen some decent results come in. I don't think there are any growth or macro concerns that would warrant further downward pressure," he said of equity markets. Bernes said bond yields, which drove investor anxiety when they increased to multi-year highs, have retreated in the last few days to provide some support to equity markets. "I think from here we're probably past the selloff," he added. 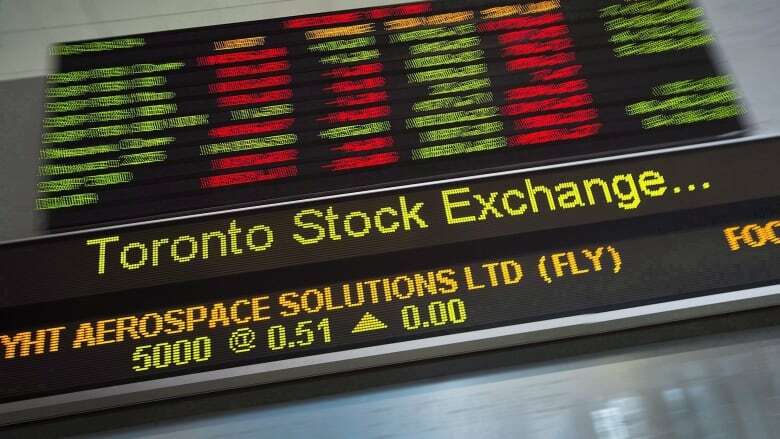 The S&P/TSX composite index closed up 170.27 points at 15,579.74, a high for the day on 280.4 million shares traded. The market was led by technology stocks that were up about four per cent. Heavily weighted sectors like industrials, energy, financials and materials were also up. Only gold and health care closed down. Bernes said he doesn't believe there are any fundamental drivers for Tuesday's 3.4 per cent slide in cannabis stocks a day after they enjoyed large gains. The sector has been highly volatile even though the market capitalization of various producers have surged since the Liberals promised to legalize recreational cannabis use three years ago. "The prices ran up on hope but now that actual sales are going to happen and it's going to be legal you're going to start seeing a differentiation as the winners and losers kind of sort themselves out," he said. "So it should be interesting. I think investors are positioning for the next stage in the evolution of this market." In New York, the Dow Jones industrial average was up 317.67 points at 25,568.22. The S&P 500 index was up 33.30 points at 2,784.09, while the Nasdaq composite was up 103.98 points at 7,534.72. The Canadian dollar traded at an average of 77.29 cents US compared with an average of 76.96 US on Monday. The loonie's rebound against the U.S. dollar and the Euro came after a Bank of Canada survey on Monday signalled a healthy business outlook which gives a green light to further interest rate increases. The November crude contract was up 14 cents at $71.92 US per barrel and the November natural gas contract was down three tens of a cent at US$3.24 per mmBTU. The December gold contract was up 70 cents US at $1,231 US an ounce and the December copper contract was down nine tenths of a cent at $2.78 US a pound.